Were back at it MasterSesh 2.0!! 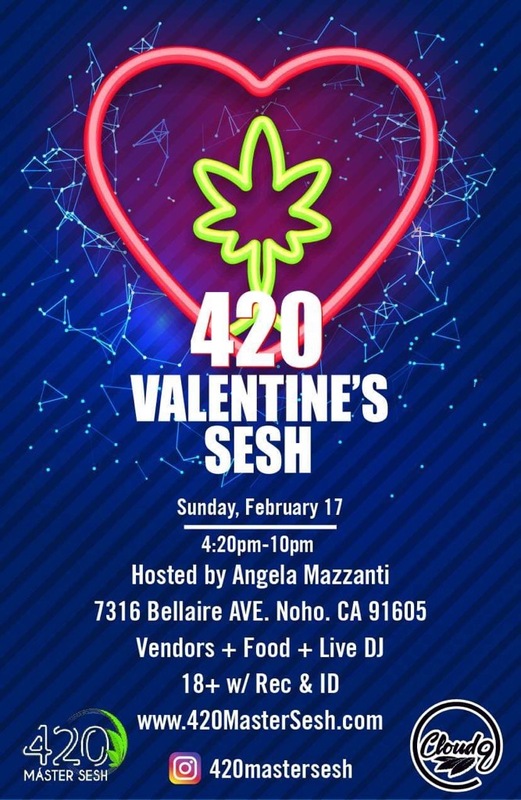 Celebrating Valentine’s Day the MasterSesh is arriving Sunday February 17th 2018 from 4:20pm to 11pm. Hosted by Angela Mazzanti, come hang out and party with some of todays best clubs, to fellow aficiandos of California and beyond.. Lots of vendors and lots of food will be available on site. Did i mention GIVEAWAYS and Prizes throughout the day!